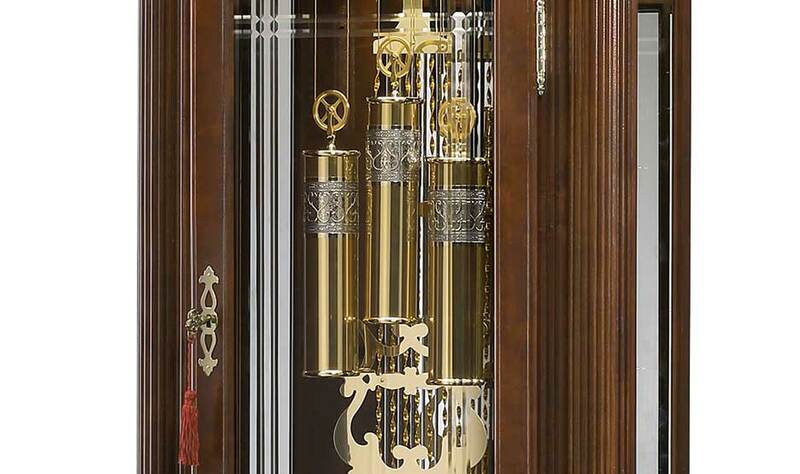 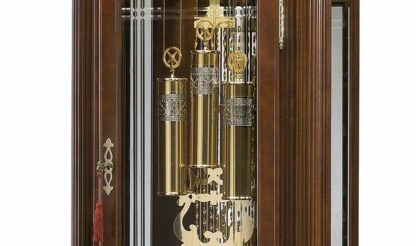 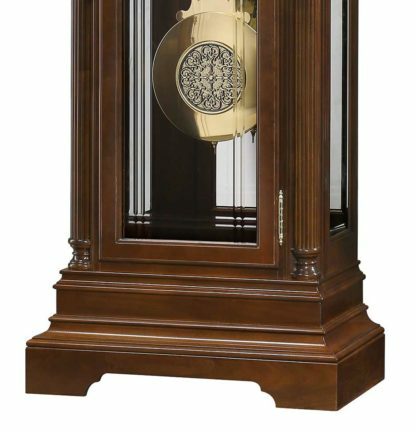 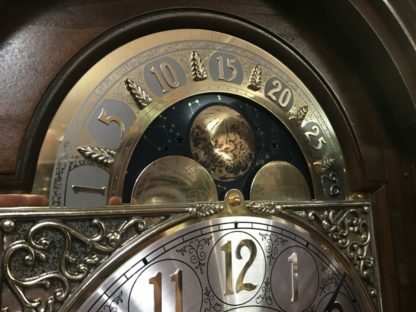 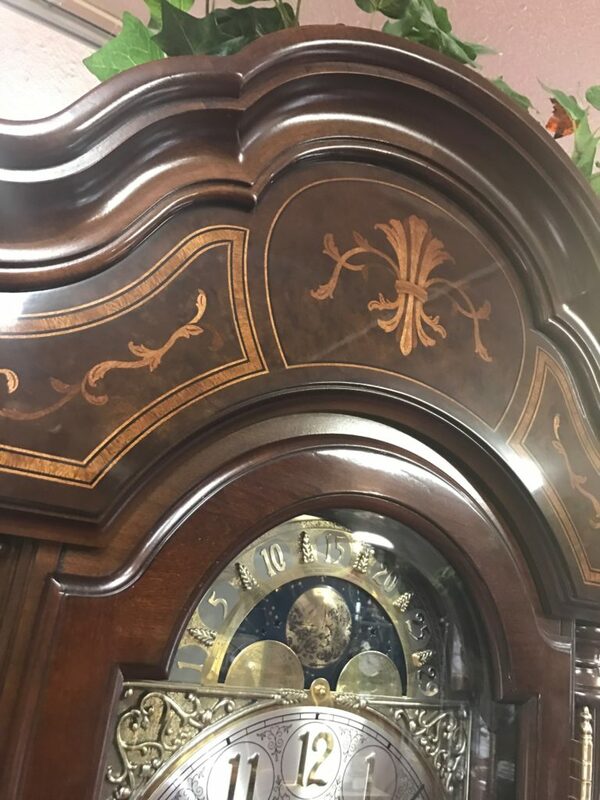 The Harding Grandfather Clock has polished brass-finished dial features cast corner and center ornaments and a moon arch with an astrological blue moon phase. The dial includes a silver chapter ring with applied polished brass Arabic numerals. Included is a special “Presidential Collection” inscription located in the hemispheres of the moon phase. 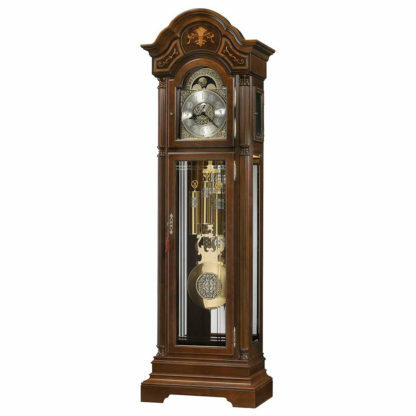 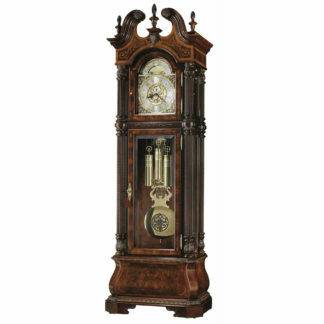 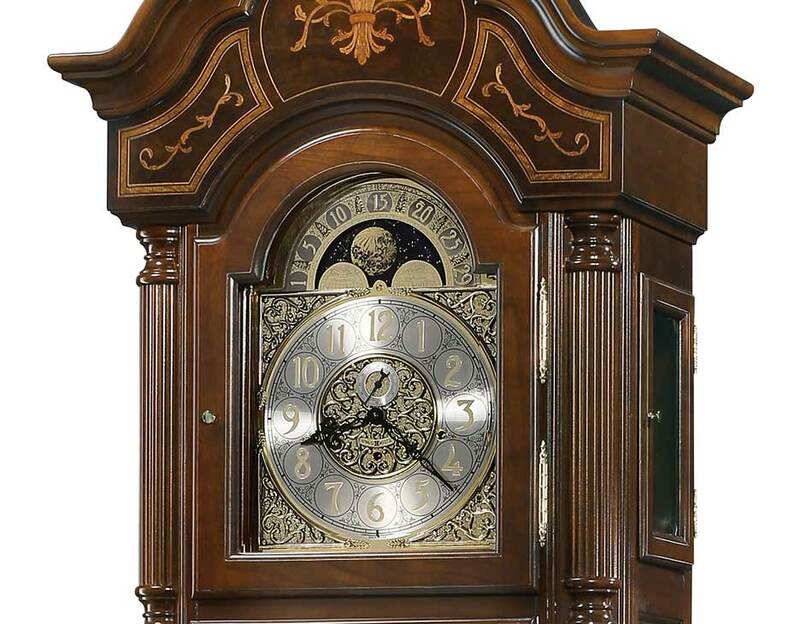 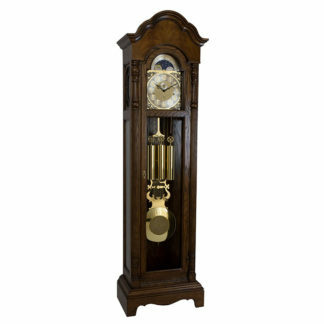 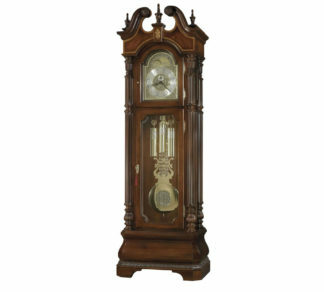 This Grandfather Clock features crystal-cut, grooved glass on the lower locking front door and beveled glass on the upper front door and sides. 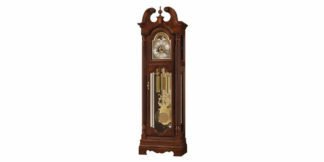 Would you like to see this Harding Grandfather Clock in person?